With gum disease affecting nearly 80% of dogs and 70% of cats, Winnetka Animal Hospital offers a wide range of preventative treatments. Winnetka Animal Hospital believes annual checkups for your pets is the key to their longevity, health and happiness for years to come. Ultrasound testing gives us the ability to identify problems quicker, avoid surgery, and discover hidden problems for further testing. The ability to visualize the heart, lungs, abdominal organs, and joints allows for better diagnostic analysis and better patient care. Make sure as your pet ages, you do things to help its body to combat the changes like a decrease in metabolism or a weakened immune system. Winnetka Animal Hospital has graciously been helping the cats and dogs of Chicago’s North Shore since 2007. 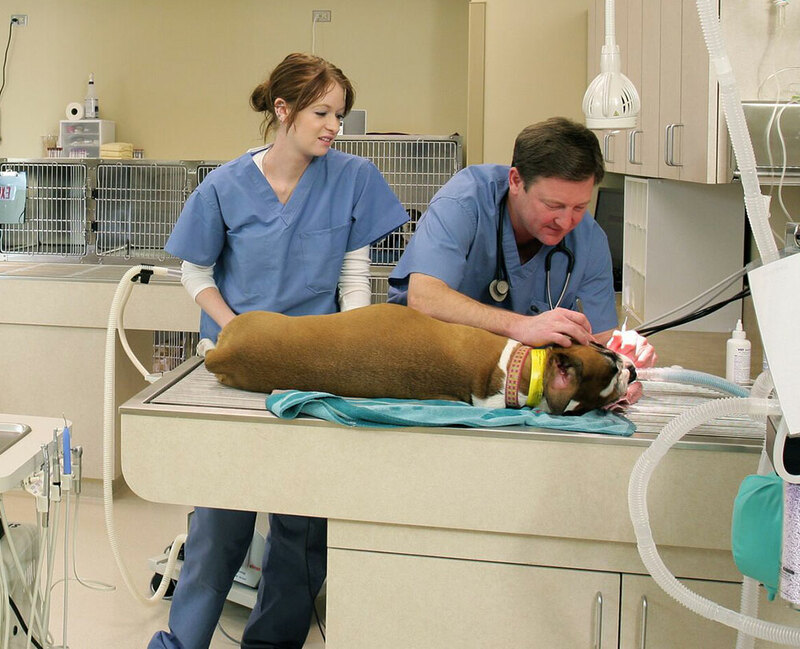 Our facility is the most highly advanced, ensuring full patient care for your cat or dog. We are more than happy to provide a clean, modern, and comfortable facility for you to bring your pet to. Located in Winnetka, our facility serves the animals from Kenilworth, Wilmette, Evanston, Chicago, and Northfield, all the way to Glencoe, Glenview, Northbrook, Highland Park, and Lake Forest. To guarantee the safety of your pet, our veterinarians double check all of their work and will not hesitate to work with the various clinics of surrounding areas. Our services range from diagnostic and medical to surgical and dental, as well as several others to assist in restoring the health of your pet. Our facility is fully equipped with a laboratory, ultrasound, and radiology technology. These in-house diagnostics open the door to discovering the exact health issue your pet is experiencing within minutes. Our highest priority is the health of your pet. As if we were caring for an ill family member, our veterinarians at Winnetka Animal Hospital strive to provide the highest quality of care. We emphasize the importance of the preventative care and client education, working together with you to satisfy the needs of your pet. Winnetka Animal Hospital provides not only the most highly trained veterinarians, but also a warm and comfortable environment for you and your beloved animal. To schedule your appointment today, call (847) 441-7474, and come experience the quality care you and your pet deserve.